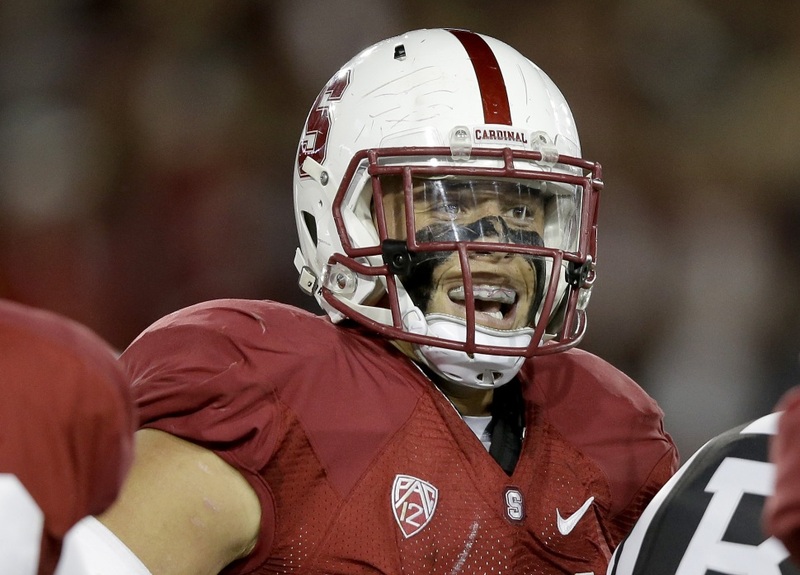 Former Stanford standout Shayne Skov still isn’t a lock to make the 49ers roster. The inside linebacker has had a great training camp and first exhibition game, but Skov will be in a battle to make the cut. Behind starters NaVorro Bowman and Michael Wilhoite, the 49ers have Nick Moody – who’s looked strong this summer – and veteran Philip Wheeler and Desmond Bishop at the inside linebacker spots. Yet Skov certainly has caught the eye of defensive coordinator Eric Mangini, who watched Skov with the practice squad in 2014. In the preseason opener vs. the Texans, Skov started in Bowman’s spot and had eight tackles. He played both inside linebacker and on special teams. When he was in the game, he was the designated defensive play caller. Mangini has been impressed by Skov’s coachability and intelligence. Skov was a terrific player for Stanford, but went undrafted last year. He signed with the 49ers but spent the entire season on the practice squad. One big knock against him has been a lack of speed. Before the 2014 draft his 40-yard dash time was just 5.11 seconds. After a year of study and practice, he’s getting a chance to show he belongs. His next test will be Sunday night against the Cowboys. He knows he’ll have to fight for a job.